Dreamline Manpower Solutions, a company being probed by the SFIO, carried out transactions involving a few Essel entities in 2015-17 and is also at the heart of a legal spat between Videocon and Essel. 1) The Serious Fraud Investigation Office (SFIO) is currently probing a company called Nityank Infrapower (formerly Dreamline Manpower), for deposits of over Rs 3,000 crore made just after demonetisation (November – December 2016). 2) The Wire’s examination of publicly available documents show Nityank and a group of shell firms carried out financial transactions that involved a few firms associated with the Essel Group of Subhash Chandra between 2015 and 2017. 3) Nityank, Videocon has alleged, also went onto play a crucial role in a large business deal between itself and the Essel group in November 2016, the subject of which sparked a Delhi high court case. .
4) Essel maintains that Nityank is an independent firm, while Videocon alleges otherwise. The Wire’s reportage indicates that Nityank is perhaps more involved with Essel than it may admit. 5) The SFIO’s investigation has not concluded nor has any interim action been taken in the year that has elapsed. Hyderabad/New Delhi: Going by his bank statement, appended below, Atul Kisan Rao Bhosale is clearly a man of very limited means. In June 2016, he received Rs 6,500 as his monthly salary from Arth and Associates, an auditing firm. He also got Rs 7,300 from one Hemant Ashok Dagal, a person linked to the same firm, in the same month. Credit: Public filings, Ministry of Corporate Affairs. 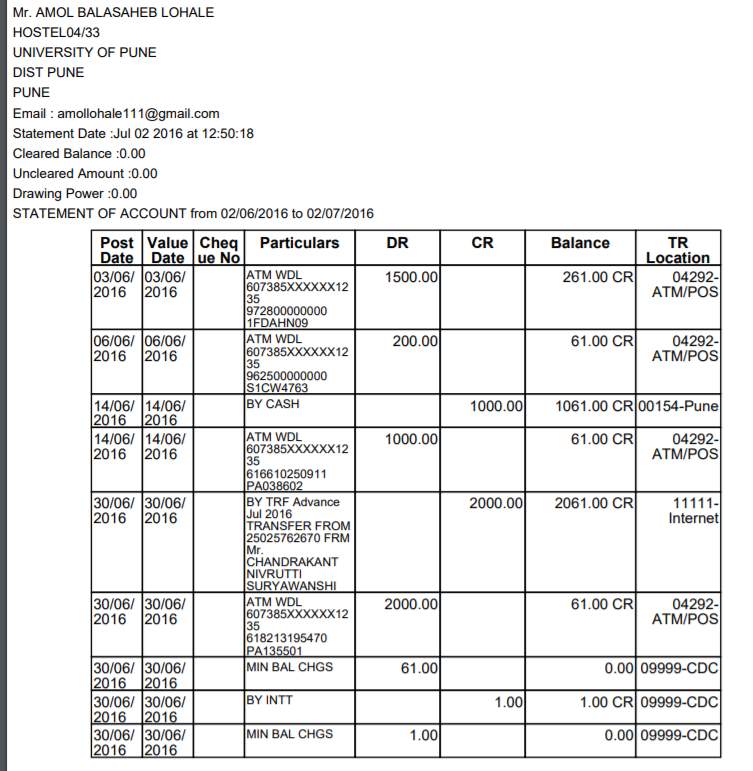 Appended below is the bank account statement of Amol Balasaheb Lohale, residing at Hostel 04/33, University of Pune, and also strapped for cash. His opening balance was Rs 261, as on June 3, 2016. A few weeks later, on June 30th, the bank account was left with only one rupee as balance. Credit: Public filings with the corporate affairs ministry. 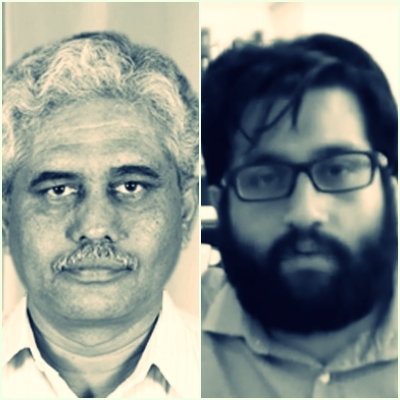 Believe it or not, but these two seemingly poor gentlemen are directors of Abal Infra Power & Multi Trading Private Limited, a Pune-based company. Their company bank account, however, has hundreds of crores of rupees. Abal Infrapower & Multi Trading Pvt Ltd itself was incorporated only on July 6, 2016 with Rs 1 lakh as capital. Bhosale and Lohale hold an equal stake of 50% each. The company earned zero revenue in 2016-17, but its books were credited with Rs 543.35 crore as a loan from an unidentified company or companies. In the same year, it invested Rs 195.19 crore in three companies and Rs 343.35 crore were given as short-term loans to unknown companies. In certain quarters, Abal Infrapower’s behaviour might raise some red flags. It has the look-and-feel of what some experts would call a ‘shell company’ – a ghost firm whose only purpose is to serve as a conduit for circuitous transactions. While shell corporations can be used for a range of perfectly legal transactions, one key aspect of the Narendra Modi government’s agenda against black money has centred around cracking the whip on these type of companies and tightening regulations so as to make sure they aren’t used for financial fraud. 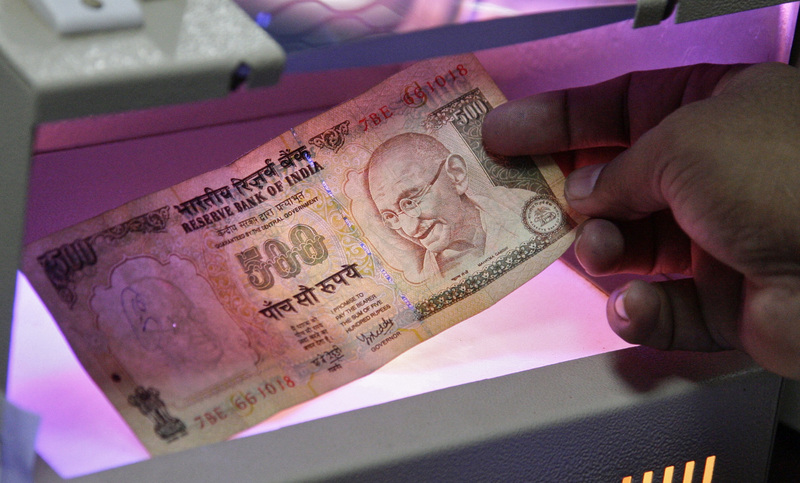 In particular, India’s financial investigative agencies have spent the last two years probing the role that these type of companies may have played in converting black money into white in the aftermath of demonetisation in November 2016 – a process that saw nearly 100% of the high-denomination notes in circulation coming back into the banking system. In March 2018, the Centre revealed through a reply in the Lok Sabha that it had ordered an investigation, through the Serious Fraud Investigation Office (SFIO), into the affairs of 575 companies on account of alleged fraud. Replying to a question, P.P. Chaudhary, minister of state for corporate affairs, also submitted a year-wise list of companies being investigated by the SFIO. Although Abal did not figure in that list, its indirect connections to a firm called ‘Dreamline Manpower Solutions Private Limited’ – which was on the list – emerged in the course of the SFIO’s probe. Dreamline Manpower also found itself on top of another list of 18 companies sent to all state governments by the Centre. That notice, media reports from the time noted, pointed out that the company deposited Rs 3,177.96 crore in cash during the demonetisation period – i.e., between November 8, 2016 and December 31, 2016. The money, The Wire has learned, was also quickly withdrawn in the same manner. The Wire’s analysis of a number of shell companies that directly and indirectly transacted with Dreamline from 2015 to 2017 shows transfers worth over Rs 5,000 crore, involving listed entities and big corporate houses. While it is not illegal to use shell companies to carry out financial transactions — or to use them as as a means of raising funding — the book entries and filings of these firms with the corporate affairs ministry have raised red flags in the context of demonetisation. Dreamline, which in 2017 changed its name to ‘Nityank Infrapower and Multiventures Pvt Ltd’, also appears to have played a role in a business transaction between Subhash Chandra’s Essel Group and Venugopal Dhoot’s Videocon Group. Elected to the Rajya Sabha from Haryana in 2016 as an independent with the backing of the Bharatiya Janata Party, Chandra is best known for his ownership of Zee Television. The Wire’s examination of corporate filings shows that Dreamline is also part of a group of shell companies and LLPs that carried out financial transactions involving various Essel or Essel-affiliated entities in 2015-17. In 2018, the role that Dreamline played in the 2016 Videocon D2H-Dish TV merger fueled an ongoing legal spat between Essel and Videocon Group companies. In its official response to a questionnaire from The Wire, the Essel Group has noted that it has “always maintained extremely high levels of corporate governance” and that Nityank is an “independent company and does not belong to the Essel Group”. The company however did not provide details on the role that Dreamline/Nityank played in a number of financing and fund-raising transactions. When contacted, the Videocon Group and representatives of Nityank did not respond to requests for comment. According to two sources with direct knowledge of the matter, the SFIO and India’s income tax department are still currently examining Nityank and the implications this has for how the merger of Dish TV India and Videocon D2H took place in late 2016. The story of Dreamline Manpower and Essel, however, starts with a limited liability partnership (LLP) firm called Lemonade Capital Advisors. Lemonade Capital Advisors LLP is a Thane-based corporate entity that was floated on November 3, 2014. Corporate filings show that it was largely dormant during that year, recording nil transactions in FY 2014-15. It was started with three main partners: Dreamline Manpower, Ayati Multi Trading Pvt Ltd and Trident Destiny Techno India Pvt Ltd. While all three made a capital contribution of Rs 33,333, their 2015-16 balance sheets show that they also made available hundreds of crores of rupees to the LLP. In Lemonade, Ayati’s current account was Rs 458.67 crore and Dreamline’s was Rs 478 crore. The third company, Trident Destiny contributed Rs 162.19 crore, making it a total of Rs 1098 crore. Who are these three partners though? Put simply, all three are companies with little history of business activity and have carried out transactions for bigger corporate houses. Inter-corporate deposits, issue of non-convertible debentures and extending short-term loans are their usual means of moving around money. Ayati Multi Trading Private Limited was incorporated on February 21, 2011. Until 2015-16, it had zero revenue. It then entered the wholesale trade of gold and recorded Rs 731 crore and Rs 355 crore in turnover in the next two years, but incurred losses of nearly Rs 60 crore in both FY’2016 and FY’ 2017. In 2015-16 and 2016-17, it extended Rs 458 crore and Rs 6.1 crore to Lemonade Capital Advisors LLP. Apart from Rs 72 crore raised on March 31, 2016 from three inter-linked companies, it’s unclear where it raised the money given to Lemonade Capital. Post demonetisation, on January 23, 2017, Ayati got Rs 309 crore from Hadara Multi Trading Private Limited, the above-mentioned Abal Infrapower and Adit Infrapower (all interlinked companies). But it extended a loan (including other receivables) to ‘a corporate body’ (unnamed) to the tune of Rs 616 crore in the same FY 2016-17. Trident Destiny was established on July 04, 2014, and is now known as Lansium Techno-infra Private Limited. Its 2015-16 balance sheet identifies Essel Corporate Resources Private Ltd as its holding company. Essel Corporate’s balance sheet for the same year, however, does not identify Trident as a related party. Like the other firms, Trident was silent till 2015, without any business. On March 31, 2016, the last working day of FY 2015-16, the company raised Rs 208 crore by allotting non-convertible debentures (NCDs) to Hamlet Media Network Private Limited (Rs 94 crore) Procall Televentures Private Limited (Rs 66.99 crore) and to Hadara Multi trading Private Limited (Rs 46.88 crore). Its balance sheet shows that it had also taken a loan of Rs 25 crore from ‘Essel Vision Production Ltd’ and Rs 90 crore from ‘Trimax IT Infrastructure & Services’. It subscribed to the Optionally Convertible Debentures (OCDs) of Norfolk Building Private limited (Rs 18.7 crore) and NT Gardens Private Limited (Rs 62 crore). In 2015-16 and 2016-17, it contributed Rs 162 crore and Rs 172 crore as capital investment in Lemonade Capital Advisors LLP. The Wire’s analysis shows that nearly a dozen companies eventually routed money to the three Lemonade Capital partners between 2015 and 2017. For the purposes of simplification, each individual transaction is not described. All these firms exhibited most of these characteristics though: interlinked shareholding, common directors, middling business activity, Rs 1 lakh share capital, part-time employees who serve as directors on multiple companies and are paid salaries. For example, Derrpan Multi Trading Pvt Ltd is an example of yet another company in the chain. It raised Rs 300 crore in 2015-16 and Rs 569 crore through long and short-term borrowings. Out of this, Rs 291 crore was routed to Ayati Multi Trading in 2015-16 and Rs 190 crore into Dreamline Manpower in 2016-17. The government authorities, it appears, zeroed in on Dreamline Manpower – which now calls itself ‘Nityank Infrapower & Multiventures Pvt Ltd’ – as it allegedly played a key role in the money routing. Though Dreamline’s CIN shows it as a Hyderabad-based company, it is registered with a wrong address. Over the years, its ownership has changed at least once. The company itself was incorporated on February 10, 2012 by three individual businessmen – Atul Bisht, Bhaskar Pandey and Ankur Bisht, all based in Secunderabad. On December 23, 2013, the entire shareholding of the company was transferred in favour of two other individuals – Hitesh Ingale and Sawanth Prakash Tukaram – who are Mumbai-based and they joined as directors of the company. In FY 2013-14 and FY 2014-15, Dreamline had zero revenue from its operations. In 2013-14, the company received a loan of Rs 156.30 crore from an unidentified company and extended a loan of Rs 156.2 crore to another unidentified company. In the same year, another company called Umapathi Trading Private Limited merged with Dreamline. In FY 2014-15, it appears that the borrowings were used to subscribe to optionally convertible debentures (OCDs) of a firm called Boris Multitrading Private Limited. But its balance sheet is still silent as to who it had borrowed Rs 150 crore from. The months that preceded and succeeded the demonetisation are the ones that saw a huge amount of transactions in Dreamline, involving crores of rupees. In 2015-16, Boris Multitrading Private Limited merged with Derrpan Multi Trading Private limited. At the time, Dreamline Manpower had raised Rs 255 crore from the merged entity Derrpan Multi Trading Private Limited. It had also raised Rs 73 crore from Adit Infra Power Private Limited. Where did this money go? As pointed out above, Dreamline, Trinity and Ayati made available Rs 1,098 crore to Lemonade Capital Advisors LLP in FY 2015-16. Corporate filings show that in the same year, Lemonade Capital, which had no other large sources of money at the time, extended a loan of Rs 1,063.94 crore to Churu Enterprises LLP. Pooling of funds in FY 2015-16. Credit: Corporate affairs ministry filings. Who is behind Churu? Publicly available evidence indicates that it is a clutch of companies associated with either the Essel or Zee groups. The LLP was incorporated on September 8, 2010. Anand Chalwade and Dinesh Kumar Shyamsunder Kanodia were the designated partners in this firm. The very next year, Chalwade and Kanodia’s contributions in the LLP were restricted to Rs 1000 each and Asian Satellite Broadcasting Private Limited got controlling stake of Rs 48,000 (total contribution was Rs 50,000). Asian Satellite Broadcasting Private Ltd is an investment company of the Essel Group. Until 2015 though, Churu Enterprises LLP was a dormant company. It later began to be involved in a very limited manner in the trade of fabric. In the year ended March 31, 2016, it reported revenues of Rs 10 crore and a net loss of Rs 42,030. In 2016, Dinesh Kanodia also exited from the firm and 11 new partners joined, just before a big chunk of money landed into the company. Asian Satellite Broadcasting Private Limited and Edisons Utility Works Private Limited contributed Rs 44,000 and Rs 45,000 respectively. Both the companies are part of Subhash Chandra’s group as Edisons Utility Works is a holding company and Asian Satellite Broadcasting is one of the investment companies in the group. The remaining 11 companies and persons are also closely linked to the same group and contributed Rs 1,000 each. The current account contribution of all partners was a Rs 839 crore loss as on March 31, 2016. In the same financial year, the LLP received Rs 1,063 crore from Lemonade Capital Advisors LLP. In FY’ 2017, the same partners’ current account contribution increased to higher losses at Rs 949 crore. In this same financial year, ended March 31, 2017, the unsecured loan from Lemonade Capital Advisors is recorded only at Rs 78 crore, down from Rs 1,063 crore in the previous year. Other loans given to Churu Enterprises included one by Direct Media Solution LLP (Rs 643 crore) another by Prajatma Enterprises LLP (Rs 569 crore). Both LLPs are associated with the Essel Group. Dreamline’s first investment, therefore, appears to have found its way to the Essel Group. In response to questions sent by The Wire asking about the rationale behind this set of transactions involving Churu Enterprises, an Essel Group spokesperson reiterated that Nityank was an independent firm and noted that they were “not aware of financial transaction between Lemonade Capital and Nityank”. This is the first part of The Wire’s investigation into the web of financial transactions involving Dreamline Manpower Solutions and the Essel Group. Dreamline is being probed by the Serious Fraud Investigations Office for suspicious cash deposits in the aftermath of demonetisation. Note: This story has been edited to correct typographical errors and for clarity.